You can stream videos stored on Amazon S3(Simple Storage Service) with Airbroad Player. 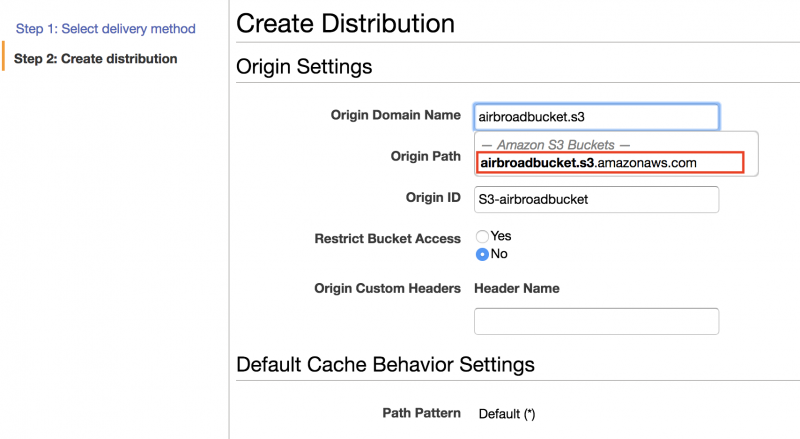 This tutorial shows how to configure S3 buckets and Cloudfront Distributions to integrate with Airbroad Player. 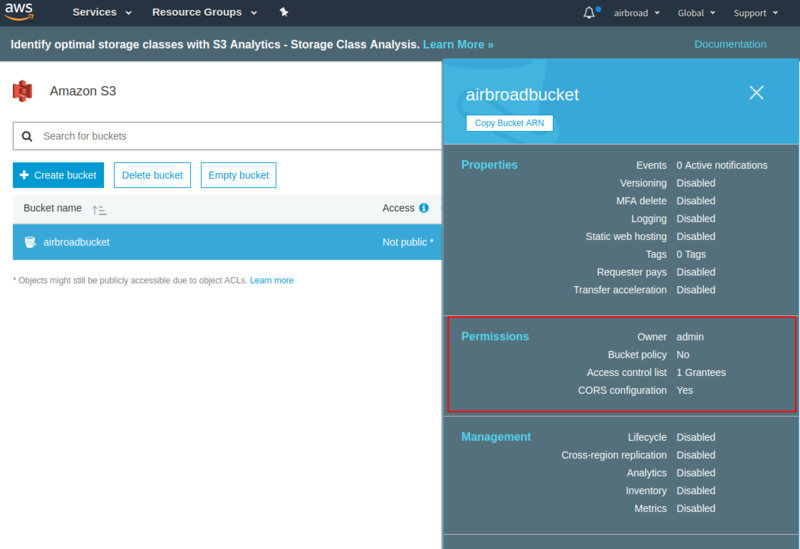 1. go to CORS configuration page in Amazon S3 console. 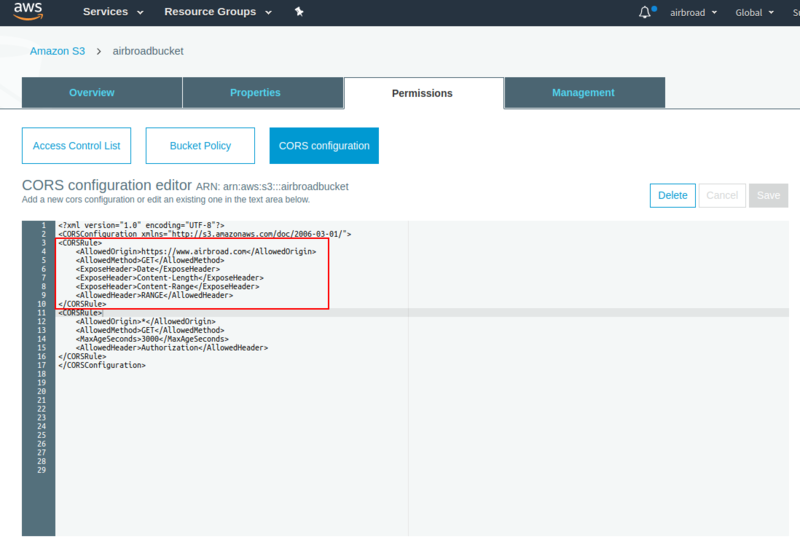 2. add Access Control settings in CORS Configuration. need to add this code below. 4. copy your file link and embed it into player parameters. You can either stream videos directly from S3, or you can configure CloudFront to get your videos from S3 and distribute them to Airbroad Player. 1. 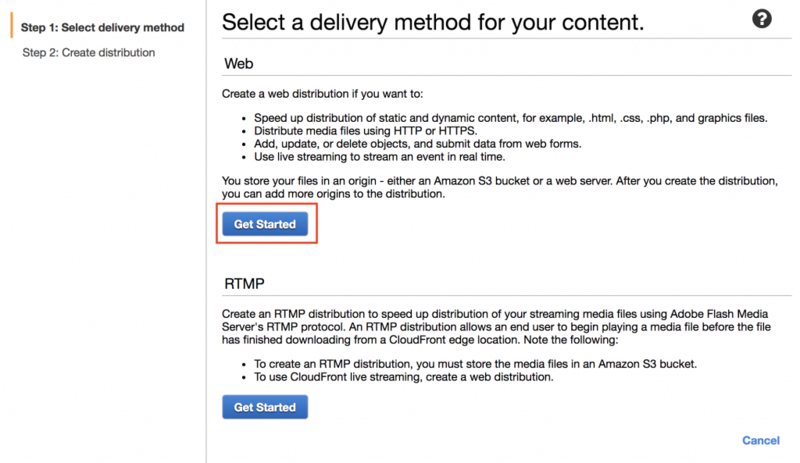 Go to CloudFront Console and Choose “Create Distribution”. 2. 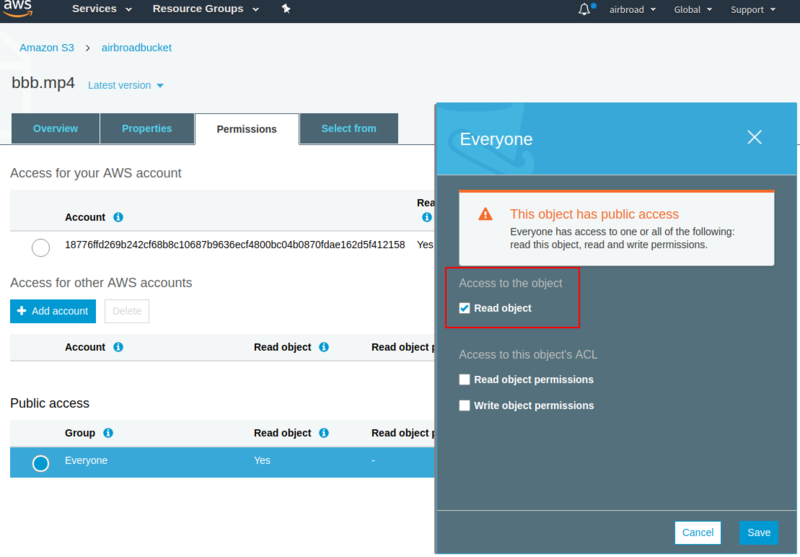 On the second page of the wizard, choose in the Origin Domain Name field, and select the Amazon S3 bucket that you uploaded videos to. 3. 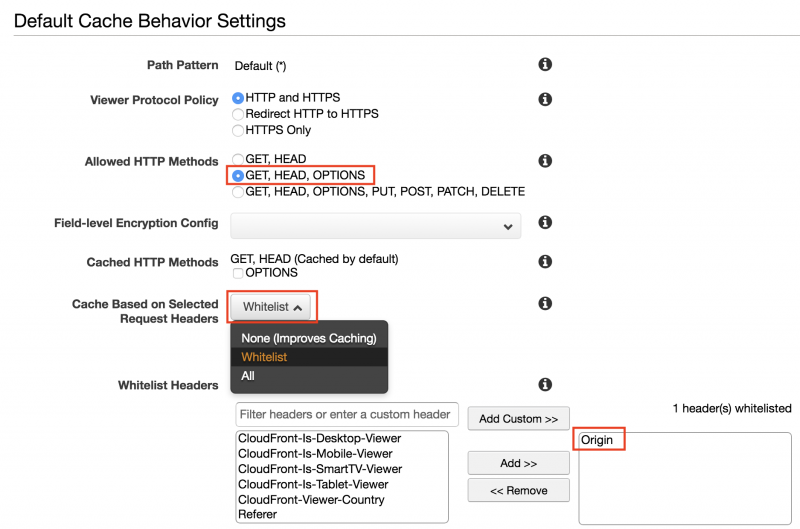 Configure the Behavior Setting as follows. d) “Create Distribution” : It takes several minutes for distribution after completing setup. 4. Embed your video URL using CloudFront domain name into player parameters.